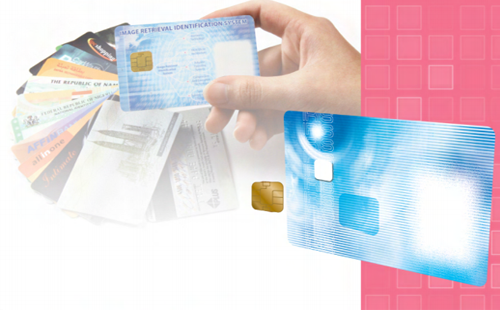 IRIS’ microprocessor contact card is the world’s first multi-application smart card, launched in 2001 for the National Registration Department of Malaysia. Offering tamper-resistant properties and capable of providing security services, this smart card supports numerous applications such as national ID, driving license, electronic purse transactions, banking, passport, health records, public key infrastructure and transit payment. Capable of processing, storing information and communicating with other computing devices, IRIS’ microprocessor smart cards are the perfect solution for applications that manipulate or compare data, such as public key infrastructure (PKI) data encryption, Java applets, and electronic purses. • Performance: Fast and reliable communication speed. • Security: Complies with the highest security protocols in the market. • Multi-applications: Able to handle multiple applications on the same card. • Intelligent: Capable of data processing, storing, and communicating with other smartcard devices. • Future-Proof: Information and applications on a card can be updated easily to cater future storage and capability. Information such as personal information and biometrics can be stored securely in the smartcards. The use of this secure smartcard provides highly secured access control solutions for corporate networking, building security, and communication. Electronic Purses are issued by banks to their account-holding customers. Digital money is stored securely into the e-Purse by a transfer from the cardholder’s bank account. The e-Purse cardholder can go to any authorized Point-of-Sales merchants where the e-Purse is accepted without the need to carry physical money for goods transaction. - Passed durability and chemical resistance test according to ISO 10373 test standard. - Bending and Torsion Test up to 100,000 cycles.